Kelvin Boston | HOPE Global Forums | Presented by Operation HOPE, Inc.
Kelvin E. Boston is a media entrepreneur, award winning financial journalist, and national bestselling author. Kelvin is the Founder and CEO of Boston Media, LLC. Boston Media is a multimedia company that produces financial television programs, events, and digital content for multicultural households. Boston Media started producing national television programs, The Color of Money with Kelvin Boston, for public television stations in 1992. 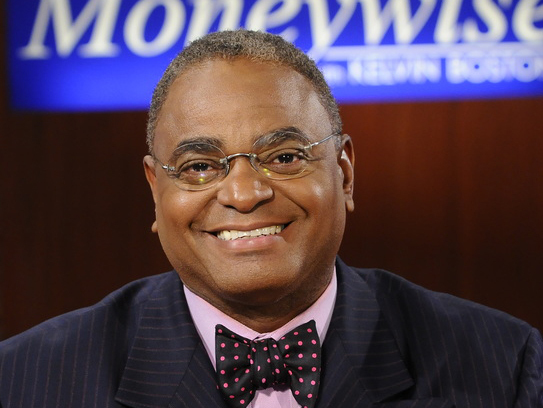 Today the rebranded series, Moneywise with Kelvin Boston, is the premiere multicultural financial television series on public television. The series has a companion foundation and national outreach program. The Moneywise Foundation, a 501c-3 organization, produces financial educational resources for underserved community. The Moneywise Empowerment Tour, a national outreach program, is one of America’s leading community-based asset building tours. The Moneywise Empowerment Tour has served 65,000 African American and military households in the U.S., Europe, Japan, South Korea, and Bahrain. Boston Media launched the Moneywise TV Network in 2018. Moneywise TV is a financial wellness network that reaches 100 million US homes on public television stations, cable VOD, connected TVs, and mobile platforms. Moneywise TV provides information and news viewers need to thrive in the 21st century. Moneywise TV also connects viewers to digital financial services, resources, and learning tools. Moneywise TV is the first African American owned financial news network in the United States. Kelvin is the author of the national best-selling book Smart Money Moves for African Americans (Putnam 1996). In 2017 he was a contributor to the landmark report Below the Bottom of the Rung of the Economic Ladder — Race and Disability in America (National Disability Institute). Kelvin has received numerous awards for his work to promote prosperity, economic justice, and financial education for all Americans. He is a graduate of Lincoln University (PA) and a popular public speaker.